Reiterating the company’s commitment towards Engineering Tomorrow’s India and fostering the talent of young RAC technicians, Danfoss India has unveiled its latest Danfoss Refrigeration and Air Conditioning Lab and Training Centre at Swami Vivekananda Rural Community College, Puducherry. The new set comprises of a fully equipped RAC workshop, 3 training rooms and a project room. This is a step towards extending support to create a sustainable livelihood for students from economically challenged backgrounds in the local community and help address the skill gap in the Indian Refrigeration and Air Conditioning (RAC) industry. 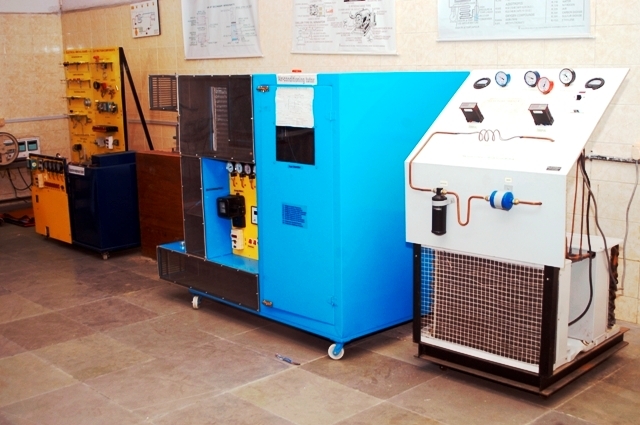 The current three-phased continuous engagement program with SVRCC includes the setting up of a high-class lab with Danfoss’ latest compressors, condensing unit and drives technology and a project area that enables students to experiment and innovate on working models in the R&AC space that can be applied into the industry. The second phase includes faculty training programs, industry visits, certification and a course curriculum review & revamp by Danfoss experts followed by an opportunity for the top students of every batch to visit the Danfoss campus in Oragadam for special training on Ammonia system plant operation and maintenance. The final phase includes internships, placement support and scholarships being offered to deserving candidates to pursue higher education. The company is also set to launch a new ‘Danfoss Academic Best Project Award’ to recognize and reward novel out-of-the-box solutions, from amongst the RAC students, thereby making the best use of its Project room & Lab facilities. Danfoss R&AC products, cut-sections, working models, toolkits, e-learning stations & other learning essentials that are expected to benefit over 500 students every year in the local communities.